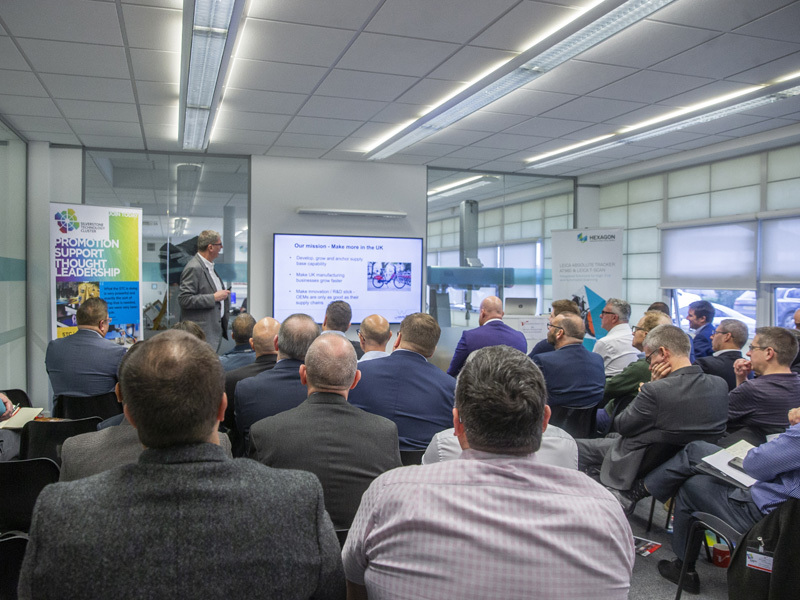 The energy was tangible at this popular event, our first Autonomous, Connected, Electrified & Shared (ACES) Special Interest Group event of 2019. 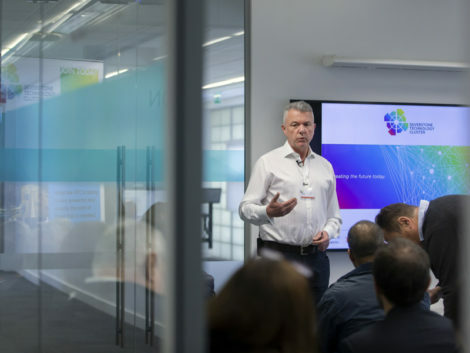 Bringing together a wide range of technology and support businesses, delegates delved into the key trends and opportunities shaping the developments in the sector. Roger Atkins of EV Outlook set the tone by opening the conversation around how the ACES industry can work together to positively improve the environment, how to support SMEs in the sector and the importance of harnessing current Electric Vehicle opportunities in the UK. Simon Holloway of RML then offered a view of the fast-paced, highly organised EV sector developments in China. He was followed by Luke Hampton from the Society of Motor Manufacturers and Traders who shared a valuable insight into the challenges and opportunities for the automotive industry in Europe – including the impact of Brexit, the transition into ACES for future technologies and the major concerns in tackling air quality. Always a hot topic, available funding opportunities were then highlighted by Dan Bunting of APC, with the aim to drive forward low carbon technologies opportunities into commercialised business and the power of collaboration. Roz Bird of Silverstone Park and the STC, highlighted the reputation of technology industries in our region as a global destination, impacting on not just motor sport, but far-reaching sectors including aerospace, defense and manufacturing. She invited delegates to take advantage of valuable facilities and networking events offered by the STC and Silverstone Park, including the upcoming STC Annual Conference on 21 May 2019. After a busy networking coffee break, Chris Horton of Performance Projects introduced the exciting project developing the fully connected and autonomous Dynium electric agricultural vehicle. Then Simon Garwood of WMG (Uni of Warwick) lead us through their Ready for Electrification project, shaping a vision where 100% of cars could have some form of electrification by 2030. He outlined the impact, and opportunities this has for infrastructure including charging networks, power supply, smart signage and the commercialisation and environmental challenges of batteries. We were then taken on Tomorrows Journey with Chris Kirby, to explore technology that will enable B2B electric vehicle sharing – not just cars, but the potential for maximising usage of assets like trailers, minibuses, bikes, scooters, and agricultural and airport equipment. This is a great example of how a collaborative approach can benefit a wide range of businesses in future. The event was concluded with an inspiring talk by Phillip Guest, Founder of Oxford Strategy, on the prize-winning report “The Four Horseman of the Autocalypse’. He challenged us to compare the technological game-changing smartphone in the communications industry to what is needed to truly kickstart the digitalisation of the automotive industry. He invites us to see that this game-changer will result from combining the power of the 4 elements of ACES. This sold-out ACES event demonstrated the passion and motivation to work together to develop the sector. This theme was clear not only in the networking conversations and Q&A discussions, but also in the array of issues covered by the speakers – a clear belief that collaboration is at the core of driving forward successful digitalisation and electrification of the industry.